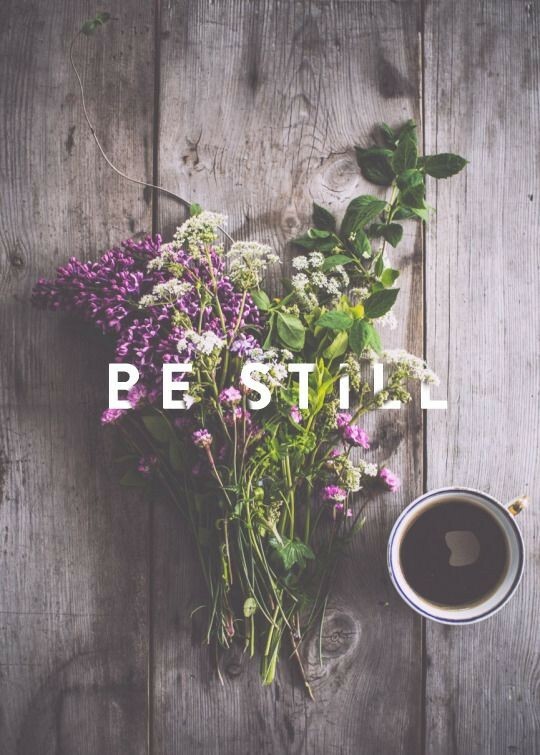 ■Be Still and Know I am God■ When the psalmist penned these words, I wonder if perhaps he was experiencing extreme trials that were threatening to shake his faith? When trials come our way, or things don’t work the way we think they should, we often want to question God, when in reality we should be trusting God. So to Be Still, is to quieten ourselves before The Father, which means all our worries, questions, plans and fears need to be laid down. Those are the very things that distract us, taking our eyes of the Father and turning the focus to us. See, when you quiet yourself you are turning over all the problems to the greatest problem solver there is. Being still, helps move our focus to The Father, and what He wants in our lives, instead of what we think we ‘want’ or need. After all, who knows us better, then the very One who created us, He knows the very thoughts and intents of our hearts, before we even think or say them. Then Know That I am God, when you quiet yourself, suddenly your perspective can change, because God is the One whom you have your focus on, because you quieted yourself and all that other ‘stuff’ had to go. Even though you may feel like the storm is still beating down upon you, you can now have peace, peace beyond your understanding, because all those things are now in God’s hands and You don’t have to try to figure things out anymore. Just rest in the Father and let Him lead you. So wherever you find yourself at this moment, may it bring comfort and encouragement to your spirit that The Father is waiting, patiently waiting for you to quiet yourself so you can experience that intimate relationship with Him. He is the One who created you and He has so much planned for you, so many things He wants to reveal to you. Will you quiet yourself and Listen? Will you get rid of all the worry, doubt and fear and turn to the One who can make the mountains move? Rest in His Love, be encouraged by His Grace and continue to serve Him.